Here’s a quick science lesson for you. (It’ll be short, I promise.) Protein is a macronutrient made up of nonessential and essential amino acids, which are required to synthesize muscle in the body. Our bodies need protein as part of a balanced diet for health and weight management. But protein can be more or less important at different stages of our development. Younger people need protein to grow and build muscle, and it helps maintain muscle mass for those who are reaching old age. If you’re looking for a quick fix to a growing waistline, protein isn’t it. But there’s no magic potion for weight loss — it takes work and discipline. However, increased protein intake can aid weight loss in a variety of ways. A diet specifically geared toward weight loss typically involves caloric restriction. And when there’s a caloric deficit, muscle loss occurs. That can result in protein being used for energy. Because of a lower calorie intake the percentage of muscle loss can be significant. A higher amount of protein (at least 72 grams per day for most people) can help to maintain muscle mass during periods of caloric restriction. For best results, sources of protein should be from high-quality ingredients like soy, lean meats and low-fat dairy. Protein isn’t the best fuel when you’re at rest or during short-duration exercise. However, during longer workouts or endurance exercise, proteins may contribute 5 to 15 percent of your actual energy needs. The body prefers to use carbohydrates for energy first, but if those sources are low the body turns to protein for energy. To optimally build muscle, an intake of 25 to 30 grams of protein is recommended following exercise. An easy way to meet this recommendation is by drinking a protein shake (such as the Medifast Dutch Chocolate Shake) or eating a balanced meal. 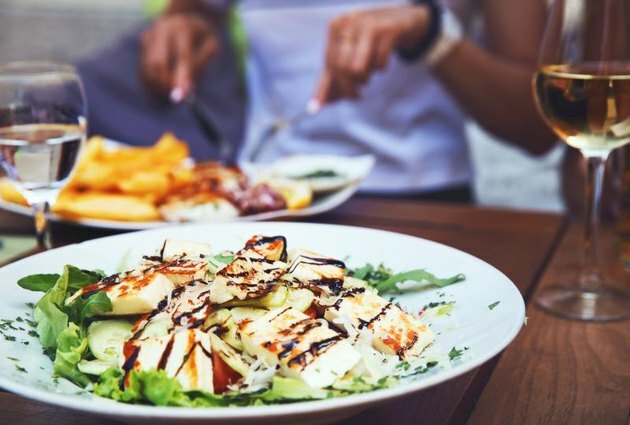 Be careful when you’re on a weight-loss diet: Overconsuming calories in general, no matter the source, leads to any excess protein being converted to stored energy or fat. The recommended dietary allowance (RDA) for protein is 0.8 gram per kilogram per day for most people. For a male weighing 80 kilograms (about 175 pounds), the RDA would allow 65 grams per day. But this number doesn’t take into account people who are trying to lose weight, are more active, are older or have a chronic disease. Protein requirements may be as high as 1.2 to 1.7 grams per kilogram per day for men or women who are very active. That means more than 100 grams per day for that same 175-pound male. Therefore, a person — male or female — should base their protein intake on weight and activity level, which yields a more accurate estimate. Sure, grilled chicken is a great, easily accessible form of protein. But if you eat it day in and day out, you’re bound to get sick of it. Other excellent sources of protein include meats like beef, pork and fish (and, yes, chicken). However, there are also plant-based sources like nuts, legumes and vegetables. And don’t forget all the dairy sources of protein, such as cheese, milk, cottage cheese and yogurt. Eggs are also a great high-quality, low-cost source. Vegetarian options like soy, pea and hemp are also popular sources of protein. Vegetarian or plant-based protein choices are also more sustainable and have a lower carbon footprint than animal-based protein. Lastly, protein supplements are also popular in the form of bars and shakes. However you decide to consume it, try to incorporate a healthy serving of protein into your day each day. What are your favorite sources of protein? Do you have any go-to, high-protein recipes? How do you fuel up after a workout? Share your thoughts, suggestions and questions in the comments section below! Jennifer Christman, RD, LDN, is the clinical nutrition director at Medifast, Inc., organizing all the nutrition content that goes into its marketing materials. When she’s not busy keeping up on the latest nutrition information, she’s helping to guide its clients and customers on their weight-loss journey. Jennifer has more than 15 years of experience as a registered dietitian and is passionate about getting people healthy. How Common Is Protein Deficiency? How Much Protein Should You Consume to Lose Weight? 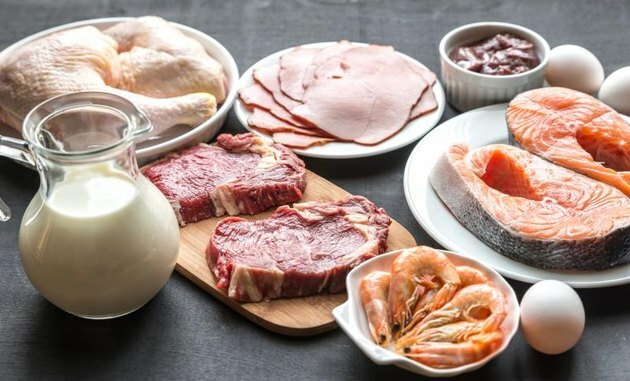 What Happens If You Don't Get Enough Protein in Your Diet?